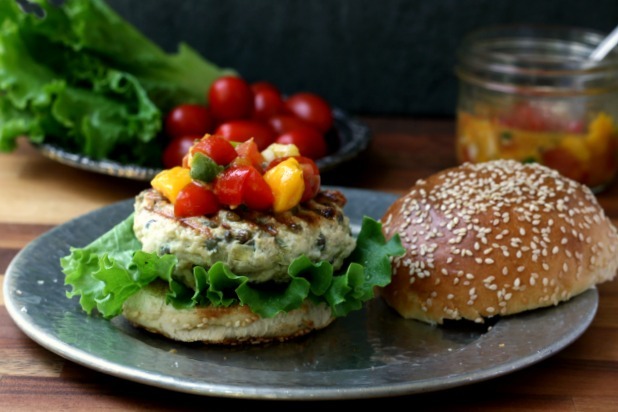 Spiced Lentil Chicken Burgers are moist and flavourful. When my son was in grade one he asked if we could have chicken. Up until then we had been mostly vegetarian so he hadn’t had any sort of meat at home and he was curious. I bought a whole chicken at a local market, read up on how to cook it, and put it in the oven. My son kept coming to the kitchen to peek in the oven so I turned on the oven light and placed a chair in front of the oven door so he could sit and watch the chicken as it roasted. Chicken has become much less exciting to my kids so I have had to find new ways to cook it. 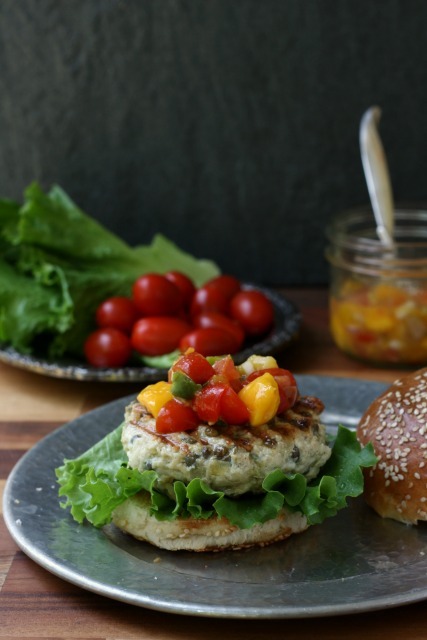 One of my favourite summer recipes is chicken burgers. I learned early on how dry chicken burgers can become so I have played with different ingredients to help keep them moist, (as with this recipe for turkey meatballs with zucchini). My favourite add-in is lentils. They do wonders for the texture, helping to keep the burgers from becoming too dense, and they help a pound of ground chicken go a lot further. The spicing in this recipe is lovely too. Feel free to substitute chili powder for the curry powder and Worcestershire sauce for the Dijon mustard. The recipe is from Lentils.ca. Visit the site for all sorts of lentil-inspired recipes. Heat oil in a pan until it shimmers. Add onion and apple and sauté until soft. Add garlic, curry powder, and thyme/oregano, and cook a bit longer. Remove from heat. In a large bowl, mix ground chicken, lentils, panko, Dijon, egg, salt, and pepper. Add onion mixture and stir just to combine. Bake at 350 F for 15 minutes, or grill over medium heat, flipping once, until cooked through.